It is tough to know where to look first at the photograph. The abstraction of horses pull in the eye then my view shifts to the marbled sky. The mountains in the distance then draw the viewer into the frame and suddenly I pop back to the original herd once more and separate the animals one by one. My interest is kept for several moments. The black and white really works with this shot almost giving the appearance of a charcoal painting. 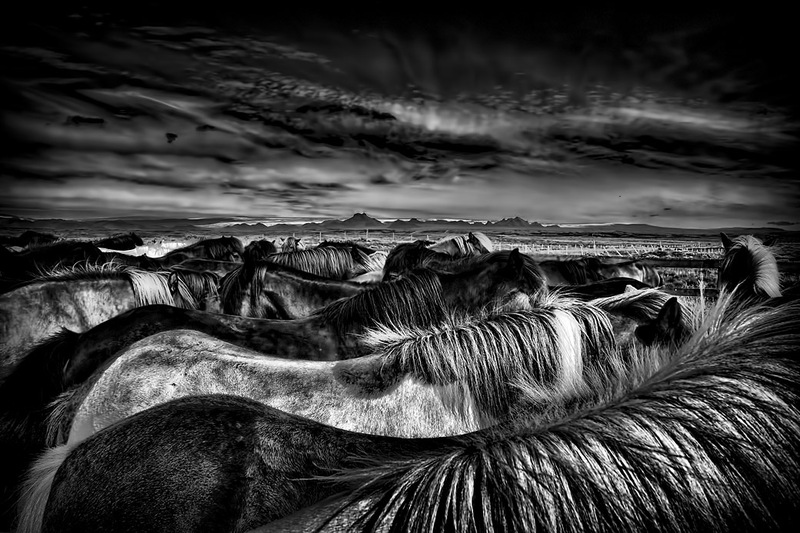 Danilo’s great photos are all over the web, but check out one or more of his original portfolios below after reading his quick story about the horses.